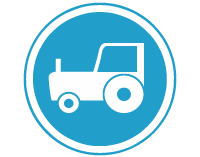 Where: In areas where there are farms and other activities that require agricultural vehicles. Action: The driver of an agricultural vehicle shall only use such road or portion of such road. 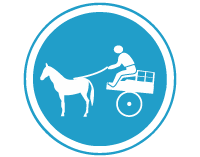 Action: The driver of an animal-drawn vehicle shall only use such road or portion of such road. 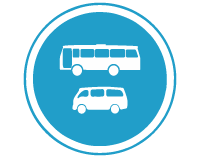 Purpose: Indicates that the road or portion of the road is set aside for use by buses and minibuses. Action: The driver of a bus or minibus shall only use such road or portion of such road.